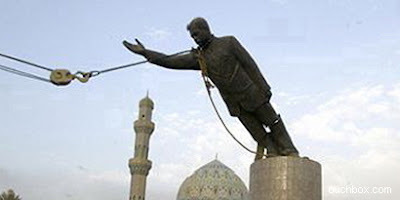 Saddam Hussein, the former Iraqi president, has been hanged. That’s the first sentence I read last night at http://english.aljazeera.net/. I logged on after learning the death from its television news network. The execution took place before 6 a.m on Saturday at an Iraqi military facility in northern Baghdad. It says that Saddam was convicted last month of the killings of 148 Shias after a failed assassination attempt in 1982. Saddam's lawyers and human rights groups, however, complained that he had not received a fair trial. The execution was videotaped. I tried to digest the news with a neutral mind. Whilst I am not happy with the death, nor the unfair trial, but no death will happen if it’s not due yet, and the unfair trial was just a mean of the death. In real politics, the dirty one, you could be found guilty just because you had no power anymore, no strong allies that backed you, or you provide no value or pose a threat to the new establishments. What about the killing of 148 Shias, the invasion of Kuwait and Iran, and the oppression to the Kurds? They were certainly wrong deeds. Unfortunately it’s not a rare thing in politics where leaders built their names and glory with bloods of their opponents, and the innocents. How many people have died in Iraq to date, and who is responsible for those horrific casualties? Was it Saddam or is it Bush, or their men, women and advisors? It depends where you stand. Only some would say all of them. A study in The Lancet estimates 654,965 Iraqi deaths (with a range of 392,979 to 942,636) from March 2003 to July 2006, and now hundreds of Iraqis people were still killed every week, compared to 3,239 coalition deaths -- 2,989 of them were Americans as of December 29, 2006, according to a CNN count. The cost of the Iraq War according to a source may exceed $700 billion, compared to the Vietnam War that cost $600 billion, paid by US tax payers. The question is how much the cost would be for the Iraqis, and whether those who pushed the trigger and got the benefit of the war would be able to sleep well for the rest of their lives. When you are in power, you can always justify whatever you do, and only a few people dare to tell you the truth and challenge you. But just be prepared when the power is no longer yours, or when you have become liabilities to your allies. From history we learnt from the rise and fall of Alexander, Attila, Achilles, Napoleon, Jengis Khan, and Caesar. There are also names such as Kennedy, Nixon, Gandhi, Reza Pahlevi, Marcos, Soekarno, Soeharto, Stalin, McArthur, Hitler. Yes, you are right, they are not the same kind of people and couldn't be compared. However, they have all swallowed the bitter pills of their glories. Alexander was a great man for his admirer, but he was the butcher and destroyer for people in Thebes, in the ex-Persian Empire to the people in Punjab. He was just 33 years of age when he died, possibly because of poisoning. Attila was found dead on the night after a feast celebrating his latest marriage to the beautiful and young Ildico, daughter of his opponent he killed earlier. In business world, there are names such as Steve Jobs, Lee Iacocca, Trump, Carly Fiorina, who might be heros for some, but jerks for others. Steve was ousted by Sculley, a man he persuaded to leave Pepsi to join Apple. He came back and created history, but it may not be the end of the story yet. Fiorina, ex-CEO, -president and -chair of Hewlett-Packard, was a Silicon Valley superstar. Some people thought that she could be the next US president, but she was fired after more than five years on the job. What lessons we can get from the rise and fall of these “great” people? Many things, but I will let the question remain open. However, no matter how dire the consequences would be, never drop the dreams and the toils to be a great man or woman. The very least is that your name will be written in the history of mankind, and people may learn from your greatness as well as your cruelness, your sources of glory and the causes of your demise. 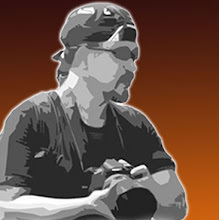 Label : Blog, Politics, Thought.